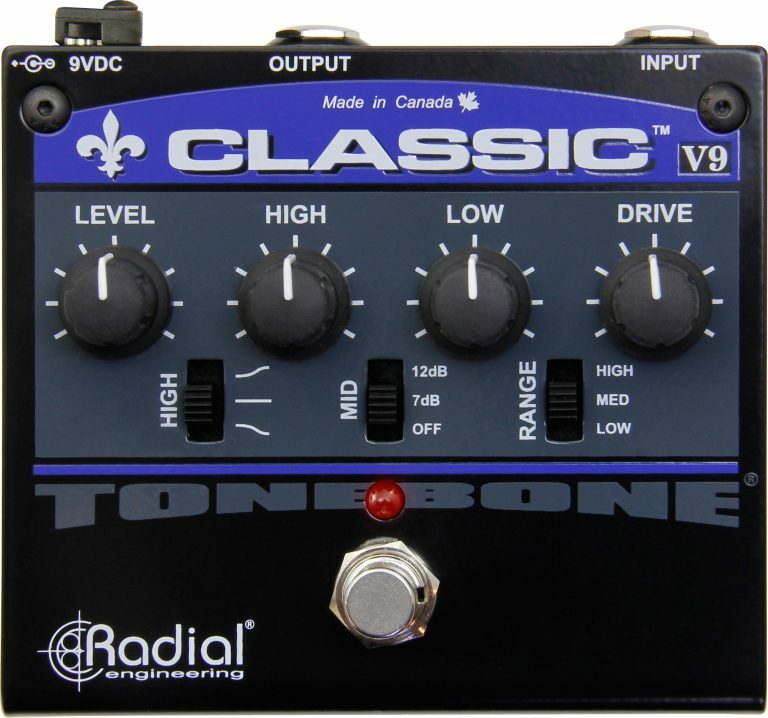 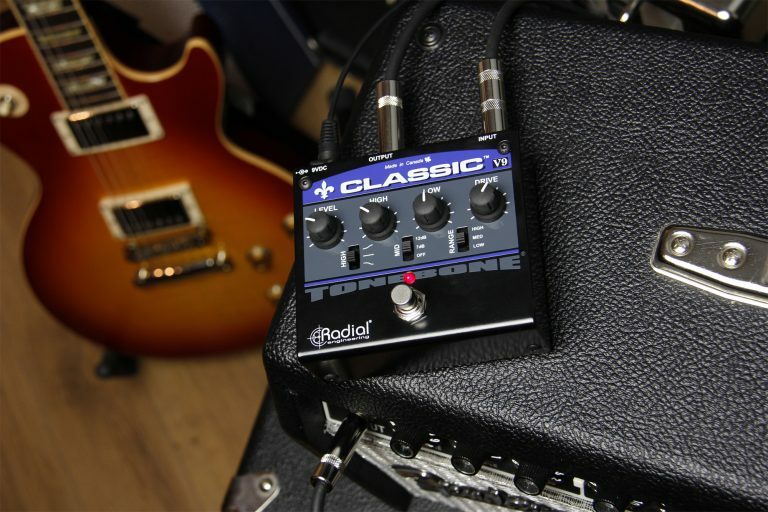 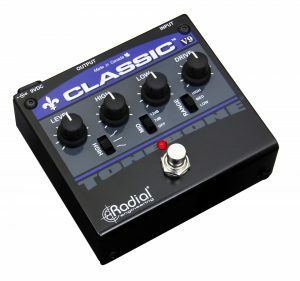 Beginning with Radial’s class-A buffering circuit, The Classic-V9 gives you the feel of a true-bypass pedal with the added benefits of greater noise rejection and lower impedance. 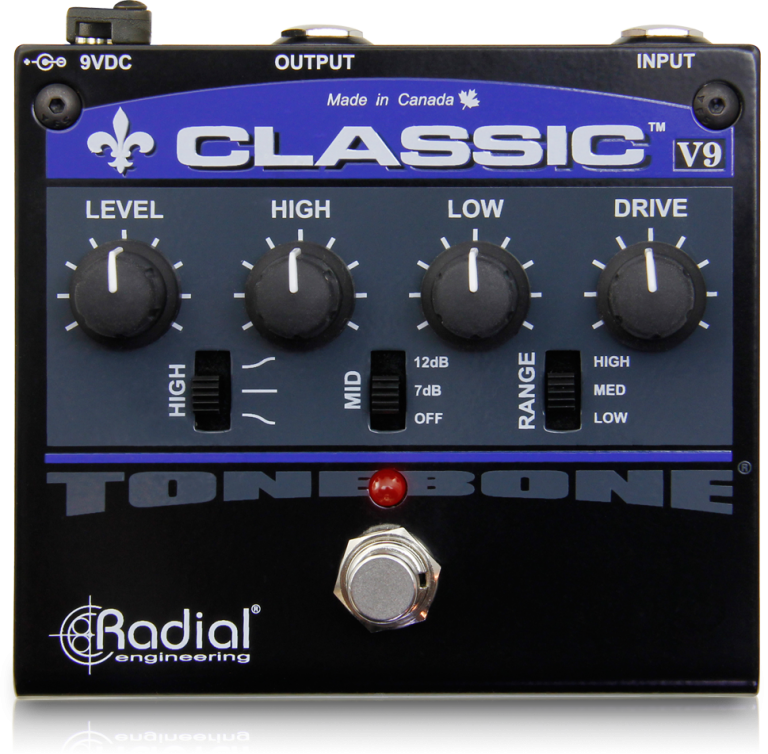 Designed to be flexible, its two gain stages and powerful post-distortion EQ controls provide a wide array of tonal options that span all eras. 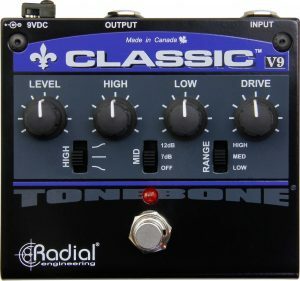 Blues, country or rock, the Classic-V9 cleans up like a tube amp and captures the feel and dynamics of your playing to take your tone to the next level. 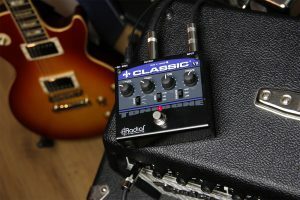 "This is a plug in and play pedal where you don't have to read pages of programming instructions just to switch the thing on, which we like. 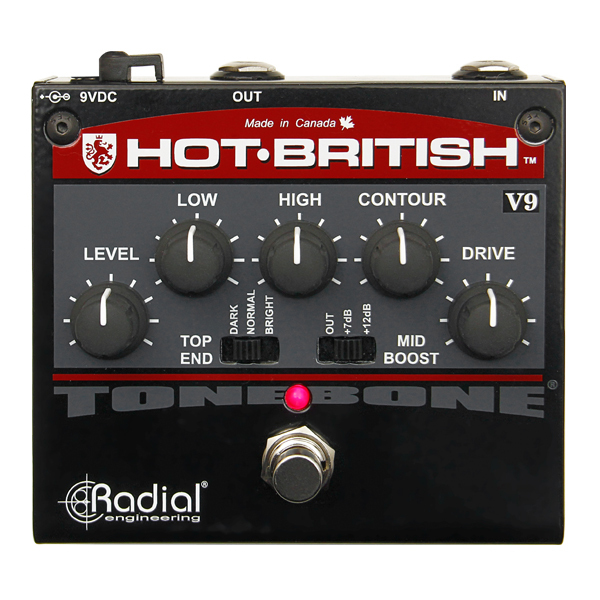 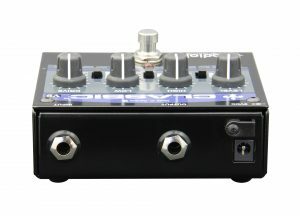 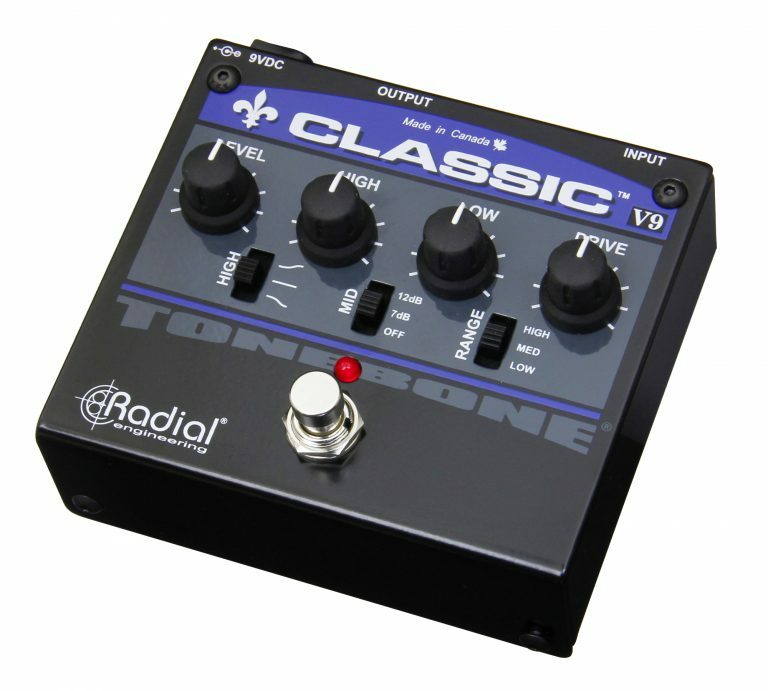 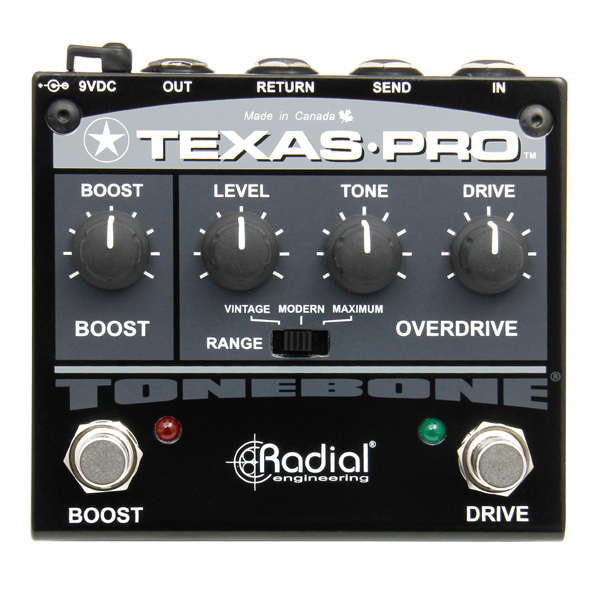 Even better, this pedal really gives a fantastic impression of a broken-up valve amp. 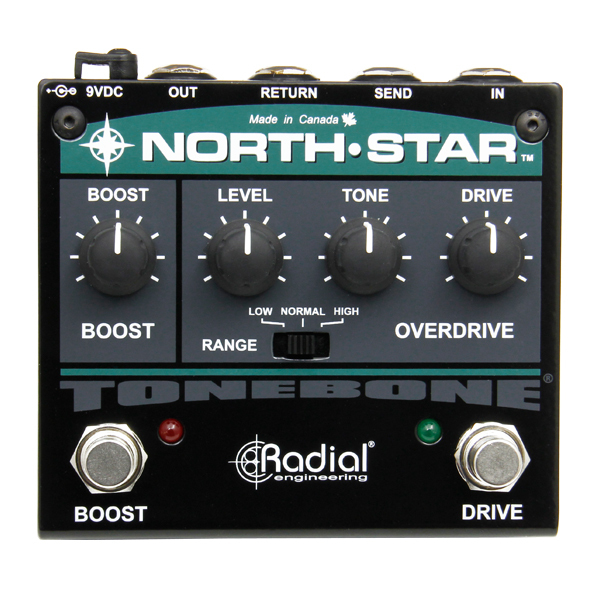 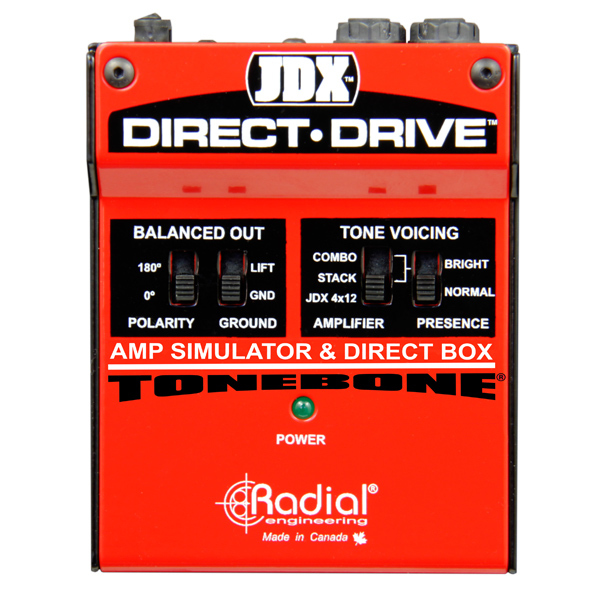 The low and mid settings really worked well, offering great dynamics and guitar amp type feel."